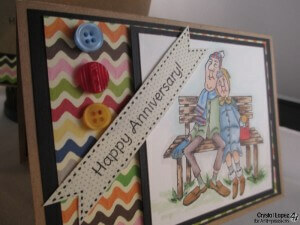 You are here: Home / Scrappy / Anniversary cards !! 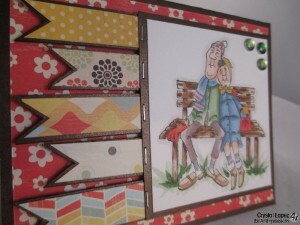 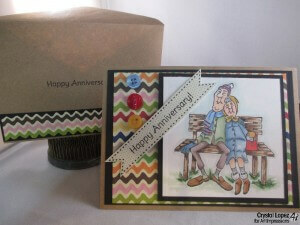 Today I am giving Fred and Millie sku # Q1244 a workout , I was on a roll making some Anniversary card I needed to make for friends so I thought I’ll make one for my Ai blog this week too. 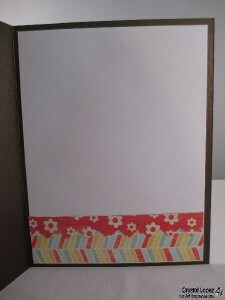 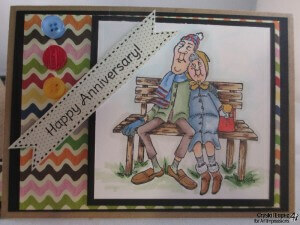 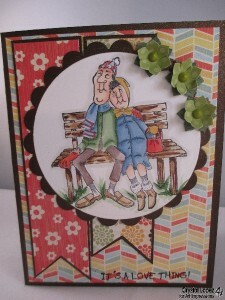 This is a cute little couple and just perfect for the cards I wanted to make . 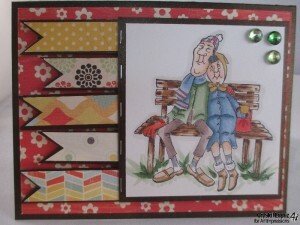 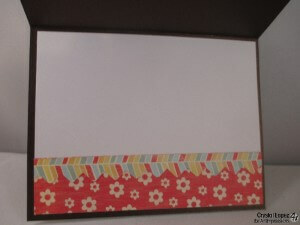 for this card I am using some MME papers I have in my stash Sunny Days and Lost and Found Two , I colored my image with copic markers , I love banners ,so banners it is .. 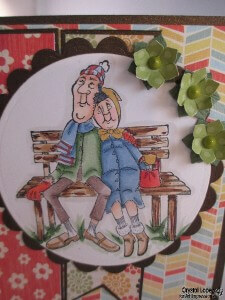 Here is my other cards I made for friends , just wanted to show you more options ..